2015 VOLKSWAGEN PASSAT TSI WOLFSBURG EDITION CLEAN TITLE ONLY 101K!! Selling beautiful 1 OWNER Passat excellent condition. Very clean inside out with ONLY 101K!! Black on Black LEATHER interior. BACK UP CAMERA & BLUETOOTH!! Everything works, and there are no mechanical issues or warning lights on. accord, chevy camry, volkswagen jetta , volkswagen cc, acura tl, altima. 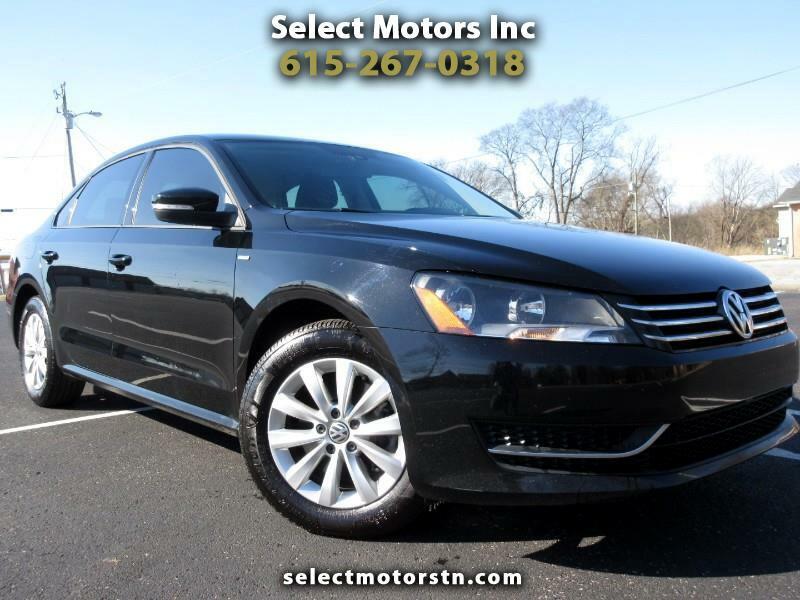 Visit Select Motors Inc online at selectmotorstn.com to see more pictures of this vehicle or call us at 615-267-0318 today to schedule your test drive. All advertised prices exclude government fees and taxes, any finance charges, any dealer document preparation charge, and any emission testing charge. While we try to make sure that all prices posted here are accurate at all times, we cannot be responsible for typographical and other errors that may appear on the site. We make every effort to provide you the most accurate, up-to-the-minute information; however, it is your responsibility to verify with the Dealer that all details listed are accurate. The dealership is not responsible for typographical, pricing, product information, advertising or shipping errors. Advertised prices and available quantities are subject to change without notice. All rates and offers are dependent on bank approval, which varies based on applicant's credit as well as the vehicle. Select Motors Inc will not share your personal information.